Since 1956, Youth Health and Summer Resort of Red Cross Slovenia Debeli Rtič (MZL DR) has been a health center for children, adolescents, families and seniors. For many years, with a unique position, a mild Mediterranean microclimate and appropriate modern medical, therapeutic and sports facilities, we successfully contribute to the curative and prevention of the health status of children and adolescents. As part of the Slovenian Red Cross, we act in accordance with the fundamental principles and promote and promote the values of health and healthy life through practical programs of health protection and protection. 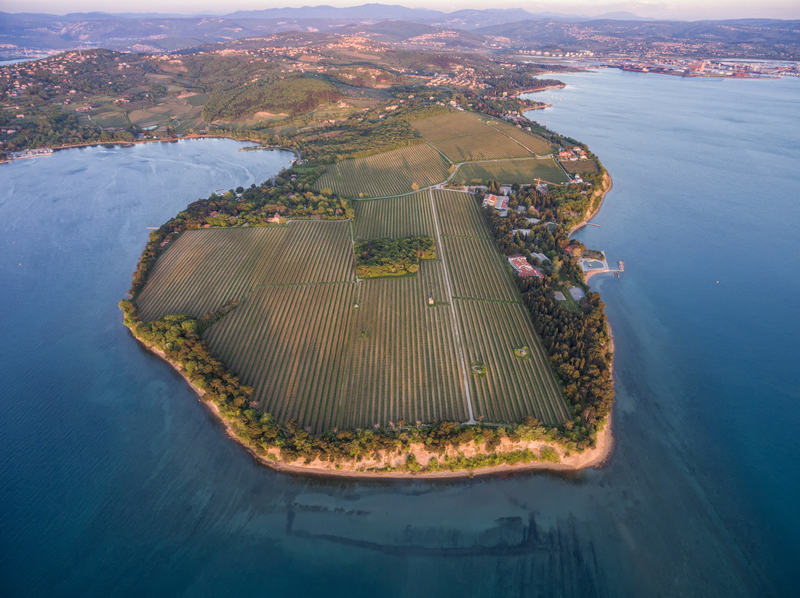 The health resort is situated on the most beautiful part of the Slovenian coast between Koper and Trieste, just off the coast between vineyards, in the midst of a carefully protected Mediterranean park, on seven hectares of land. In the spa there are the Hotel Arija ***, the Bor apartments** and four youth hostels with a total capacity of 716 beds. Today, the health resort is a modern health, sports and educational and pedagogical center that develops its programs under the slogan "Where dreams grow." Annually 15.000 children visit us. We estimate that at least half a million children visited the health resort during all years of operation. In the health resort, there are programs of spa treatment (respiratory diseases, skin diseases, injuries and operations on the locomotor system and a new program for over-fed and overweight children), health holidays, rehabilitations, schools and kindergartens in nature, sport teams’ professional trainings, kids’, adolescents’ and seniors’ holidays, educational programs and business meetings. Due to the seaside climate and the healing effects of seawater, MZL DR has the status of a natural climate spa. In 2013, we suffered the fall of overnight stays in traditional programs such as: spa treatment, health and social holidays. In response, we heavily focused on direct marketing in the field of educational institutions with superior and regular programs. Our main message was that MZL DR is a "classroom in nature" as it offers a unique environment for young explorers; for which the holidaying by the sea in the cultivated Mediterranean park is a real discovery. We emphasized we are distinguished by many advantages: health center, protection, natural environment and varied animation programs. In 2014, the Football Federation of Slovenia decided to build us a football field of dimensions 20 x 40 m with the aim of encouraging children and adolescents to participate in football training. With a diverse sports infrastructure, which has developed over the years, we have become a sports center for football clubs and athletic associations. The outdoor sports infrastructure consists of a football field with artificial grass (20m x 40m), a gym track with 15 stations in the length of 1,600 m (through a beautiful park), Nordic walking trails, beach volleyball courts, a basketball court, and an outdoor 25m pool (open during the summer season). The internal sports infrastructure consists of: 25m pool with heated sea water, fitness and gym at the Arija Hotel. In 2015, we started to expand the services of MZL DR to foreign markets. The key service we offer there is the training of Red Crosses volunteers. Every year we are visited by: the Red Cross of Germany (children's holidays and organization of volunteer education), the Austrian Red Cross (children's holiday), the humanitarian organization from Belgium (secondary school camp), numerous football clubs on winter preparations from Serbia. Our main goal is to present MZL DR to foreign customers/groups as a modern center for sports groups, education and other activities. The success stories of the spa can be divided into three key areas. The first area is represented by successful implementation of various rehabilitations of children from Belarus and Ukraine, which we have been carrying out for several years with the ITF Enhancing Human Security organization, and the Slovene Ministry of Foreign Affairs, as well as rehabilitation of children with diabetes, celiac disease and phenylketonuria, which are carried out by several Slovenian associations. The second area, successful and targeted infrastructure projects, implemented through donors, include our new demonstration kitchen and renovations in youth homes. With the help of the donation of the Football Association Slovenia, we built a football field with artificial grass for all children. In 2017, we also received the UEFA Foundation for Children Fund aimed at organizing football holidays for children from Slovenia and abroad. We also develop sport programs with the help of the Kayak Association of Slovenia, which is also helping us with kayak donations. Consequently, donations and support of recognized organizations give us a constant impetus and recognition on the market. The third area is successful organization of health and pedagogical programs. The main orientations in the pedagogical program are 24 hours care for children with the help of volunteering care takers, the program "Let's Play Outside", the program "Magic Forest” and swimming schools; all supported by cooperation in the field of professional programs with University of Primorska’s members (Faculty of Education, Faculty of Health Sciences and FAMNIT’s applied kinesiology) and cooperation with the UMMI Institute in the field of professional content provision for schools in nature and programs for gifted youth. In the autumn of 2017, we arranged an urban pond with abandoned non-native turtles&fish for gaining awareness of non-native and invasive species and for animation of our guests. The latter is a visionary project that we develop together with veterinarians providing project’s professional and ecological level. Altogether, our success story is heavily based on different types of donors who have recognized our professional content and dedicated work in great numbers. With their support, the spa resort invested in the infrastructure and in the development and diversification of new programs. Due to investments in infrastructure (renovation of buildings and sports facilities) and professional new programs, in 2017 we achieved a 10% growth in the number of overnight stays, in particular sports clubs, clubs, foreign groups and other holidays of children and adolescents. Targeted marketing has brought us the visibility and increase in the number of overnight stays and the reduction of seasonality. The past results show that with the help of professional staff, MZL DR is a special institution with high added value, which actively takes care of the protection and preservation of the health of children, adolescents and other vulnerable groups. When we as an organization found ourselves in the moment of (survival) truth, it was crucial that - with a positive attitude, teamwork and integration with the environment - we developed a healthy core and demonstrated that we managed to redesign a rudimentary youth summer resort into a modern multi-purpose/customer center. In our story, it was important to intertwine the socially responsible and commercial activities, by which we proved to our donors that we are trustworthy and that each donation is targeted towards programs and infrastructure that raises the standard of service that is aimed at children, adolescents and all vulnerable groups.